Without a doubt, the Samsung Galaxy S3 looks wonderful in “Pebble Blue”, “Garnet Red” and “Marble White”, but some always wondered whether a black version of the device is going to be produced or not. 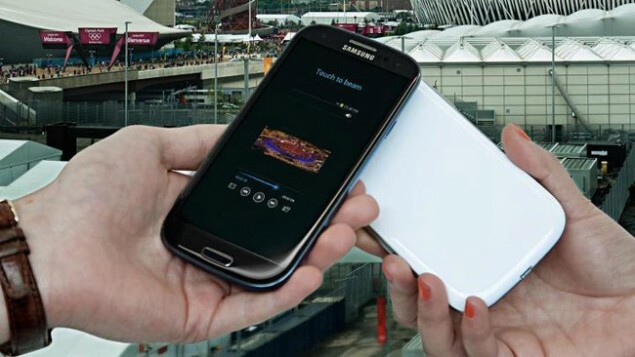 Now, the long wanted model finally made its appearance on the Samsung official Facebook page, where the dark skin device can be seen taken pictures in the London subway and being highlighted as part of the 2012 Olympic Games campaign. On the first look, the black Galaxy S3 seems to be indeed a new color version of the existing line-up, but when the device is captured up close, a familiar blue side-line is spotted, revealing that this may just be a mock-up and not a new flavor; probably used for teasing or testing the market. Although Samsung seems to not have made up its mind, more and more people are asking for a dark Galaxy S3. What about you? Would you choose to purchase an all-black model?